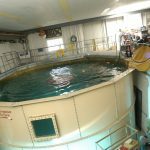 The Hydrodynamics Testing Facility is equipped with an indoor fresh water tank measuring 7.49 meters in diameter and 3.96 meter deep, with a capacity of 174,000 liters. Three 0.6 meter square windows allow for observation and enable optical experiments. Two 1-ton overhead gantry cranes provide lifting ability over the entire tank, adjacent staging area, and workshop. 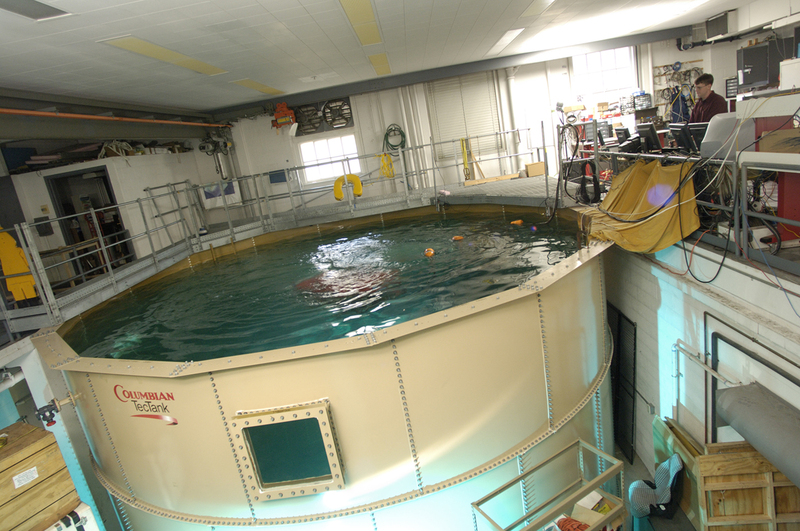 The 11.5 meter by 3.0 meter workshop is equipped for the development, testing, and repair of oceanographic systems. AC power ranging from 120V to 480V can accommodate a wide variety of experiments. 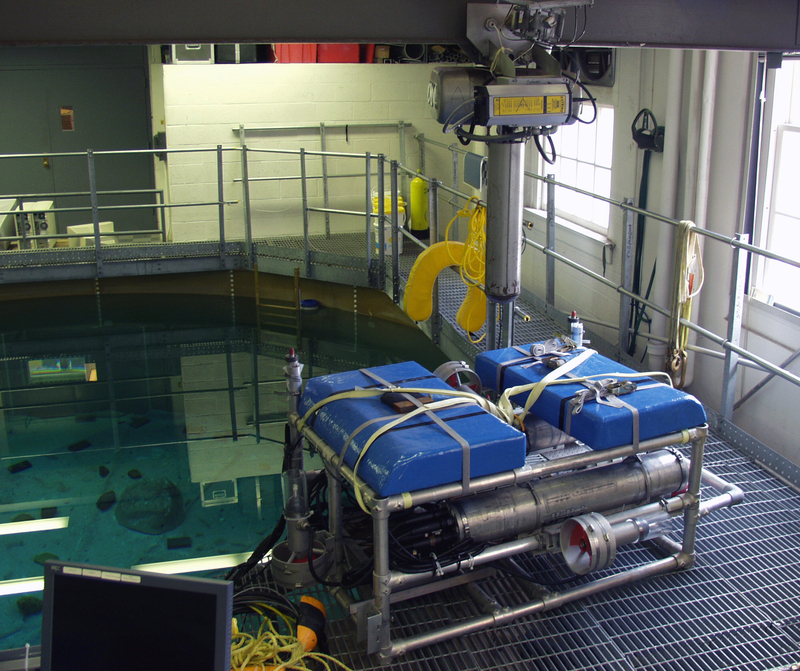 The JHUROV is a platform for experimental research in UUV dynamics, navigation, and control. 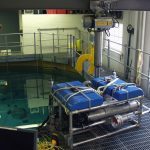 Built by Johns Hopkins students, the JHUROV is a 140kg, 1.5m x 1m x 1m ROV with a 1000m depth rating. The vehicle is passively stable in roll and pitch. Six thrusters are reconfigurable to allow for 6-DOF vehicle dynamic experiments. The Laboratory for Computational Sensing and Robotics (LCSR) is an interdisciplinary academic center at the Johns Hopkins University. The mission of LCSR is to foster innovative robotics science and engineering research. Located in Computational Science and Engineering Building (CSEB) at Homeweood campus (Baltimore, Maryland), this unique two-story laboratory is one of the largest and most technologically advanced robotics research centers in the world. DVLNAV is an interactive program for precision 3-D navigation of underwater vehicles, developed by researchers at the Johns Hopkins University and the Woods Hole Oceanographic Institution. 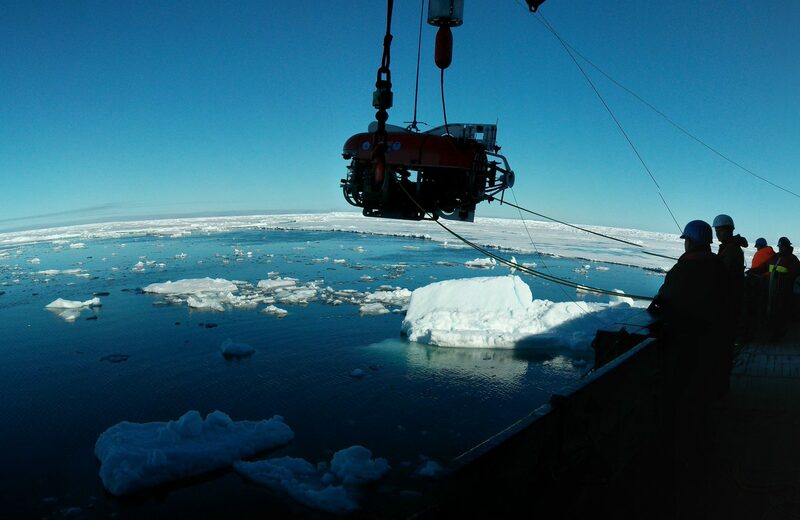 DVLNav employs a bottom-lock Doppler sonar and a North-seeking gyro to compute accurate vehicle XYZ displacements in a true—North coordinate grid, and is equipped to initialize the bottom track wither from a Long-Baseline acoustic navigation system or from manual input. The navigation software, supported under Windows, provides an interactive user-interface providing real-time displays of all sensor information, sensor status indicators, and a moving map-display with real-time vehicle outline. The JHU Robot Sensors and Actuators Education Board (JHURSAEB) is a microprocessor development board used in undergraduate robotics laboratory courses at the Department of Mechanical Engineering, Johns Hopkins University. This board utilizes the MaEvArM microcontroller platform developed by Prof. Jonathan Fiene at the Department of Mechanical Engineering and Applied Mechanics, University of Pennsylvania. The MaEvArM utilizes Amtel’s ATmega32U4 microcontroller.